Letterheads, Letterhead Printing, letterhead designs. Letterheads are vital element of corporate identity and are frequently inserted into an envelope for direct-mail marketing. This vital promotional tool is commonly used for business correspondences outside the company. However, they as well are used as inserts in product manuals and even as welcome letters and memos etc. Many of the business professionals today use letterheads to show off their business’s best color by using very high quality, offset color printing for the business advantage. If you too want to give desired hype to your business then Printexperto is here to assist you from all perspectives. We at Printexperto have carved out a niche for ourselves in very small time frame. We have created great trust among our clients and grown into a modern printing house with state of art printing machines and skilled manpower, pushing it to the extreme quality out-putting capabilities. Do You Need Custom Letterhead for a Quality Presentation? If your firm uses letterheads everyday or for important documents or mailings, it is for sure that you will require professionally printed custom letterheads. We have received great recognition for printing company’s letterhead on 70lb uncoated solid text paper that makes each letter you send appear exceptional. The paper of such letterheads measures the standard 8.5” x 11” letter size and easily printed using laser or inkjet printers. The tempting thing is that you can use color on both sides of our professional print letterhead and also can use desired color logo into your chosen design. It has often seen that the color letterhead always stands out and makes for a premium presentation. Provide professional print letterhead measuring 8.5” x 11”. Flexibility to order custom company letterhead in full color. Ensure print on letterheads even if your order in bulk. Flexibility to print on 70lb uncoated solid text paper, FSC labeled and recyclable too. 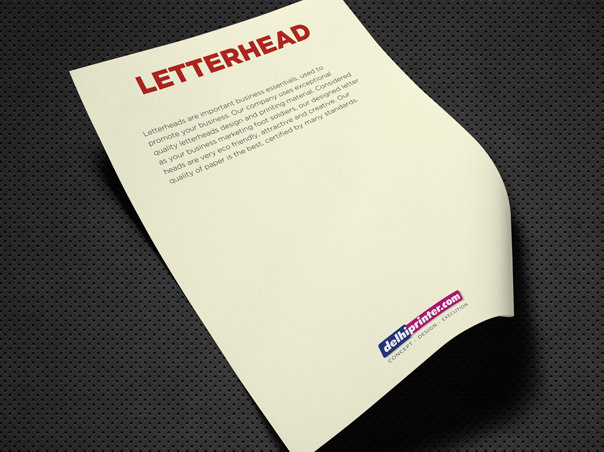 How Important Letterhead Design for You? 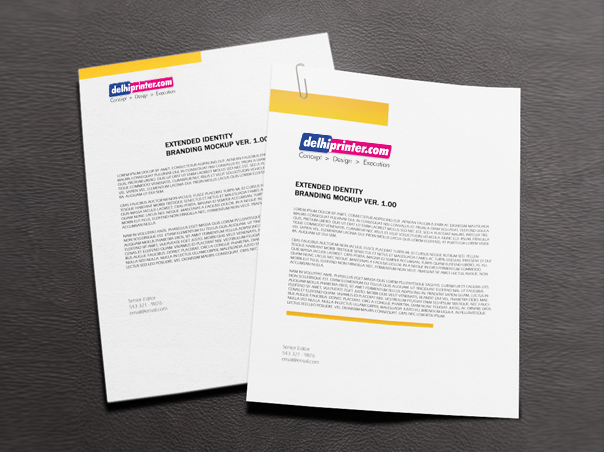 As far as designing of your letterhead is concerned, we offer you ample of option of either uploading your finish design or customize one of our design templates. With Print Experto, there is no false surprise, fading or misprints occur as we suggest you different design that suits your requirement on every sheet. We use screen printing that is mostly used for printing letterheads in single or two colors. The great thing is that we offer multi-color printing on same rate. So, every time you can trust your letterhead printing with us. With the availability of latest technology, printing letterhead online has become as simpler beyond your expectation. We have many of free letterhead templates so that you could easily make your choice. You as well have flexibility to browse our designs or build a custom design.  How Fast We Are in Providing Our Service?